The best funny birthday quotes are book-ended by personal birthday messages. One message serves as an intro to the famous funny quote and the other as a closer. Alone, famous birthday sayings make great birthday greetings. 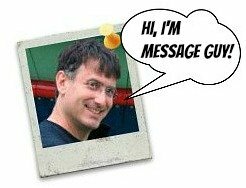 With a personalized intro and closer, they have even more comedic punch, enough to really tickle the funny bone of the birthday boy or girl. That’s why every quote on this page include funny birthday messages with a personal touch anybody can relate to. No other website offers this combo. I know what to get you (not like your husband). “A friend never defends a husband who gets his wife an electric skillet for her birthday." That's why I got you a gift card. It's the perfect gift. You can get anything you want (and you deserve everything) and you can't hurt anyone with it. Happy birthday! “To me — old age is always ten years older than I am." That's why I'm wishing my youngest-looking friend (you) a "happy 39th birthday" for the 10th time. “There is still no cure for the common birthday." So forget about getting older and get on with the business of life. Happy birthday! “Why is a birthday cake the only food you can blow on and spit on and everybody rushes to get a piece?" Do you still want your cake? Maybe you should have something else to eat. Happy birthday! Need I say more, BFF? “From birth to age eighteen, a girl needs good parents. From eighteen to thirty-five, she needs good looks. From thirty-five to fifty-five, she needs a good personality. From fifty-five on, she needs good cash." Or a huge line of credit, right? Happy birthday, girl! Let's pretend it's just another special day! Here's to more birthdays! Have a great one! “I binge when I'm happy. When everything is going really well, every day is like I'm at a birthday party." Well, today is your real birthday! Let's really go to town! "The main prank that we play with props is for people's birthdays. The special effects people will put a little explosive in the cake, so it blows up in their face — that's always fun to play on a guest star, or one of the trainees or someone who's new." On second thought...no, just kidding. Happy birthday! “Inside every older person is a younger person — wondering what the hell happened." The great thing about you is that you're so young at heart you make me feel young. So, I guess, happy birthday! Sometimes, you come across funny birthday quotes you just have to love. This is one of my favorite funny birthday quotes because it's a cleverly humorous and original take on how women never give their age or lie about it. At the same time, it shows how men are in on the joke...also in a funny, unique way. "When I have a birthday, I take a day-off. But when my wife has a birthday, she takes a year or two off." With this in mind, let's celebrate the second anniversary of last year's birthday! "I remember when the candle shop burned down. Everyone stood around singing Happy Birthday." With all the candles on your birthday cake, I can't help thinking about the fire marshal. "It's odd the things that people remember. Parents will arrange a birthday party, certain it will stick in your mind forever. You'll have a nice time, then two years later you'll be like: There was a pony there? Really? And a clown with one leg?" Your birthday parties are so memorable (just like you), so don't worry! Let's celebrate you! I would never do this to you. "Interventions are really emotionally exhausting and I would never ever want to have one. In the same way, I would never want to have a surprise birthday party. That would be horrible." So you better be nice to me. Just kidding! happy birthday! Need some help choosing a quote? 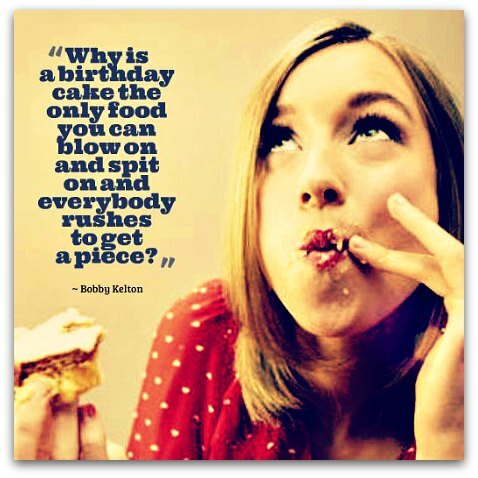 Get free tips on selecting funny birthday quotes! Sometimes, a few tips can help you pick funny birthday quotes that really hit the mark. Click here to get the tips you need. May your birthday be the time of your life. “I don't feel old. I don't feel anything till noon. That's when it's time for my nap." You never look or feel old. You're the best napper I know. Happy birthday! May you live 1,001 lives during your lifetime, so you'll at least feel like you're living forever.